Atlanta, Mammal has missed you. We have found a new space, but it's not a home without you. With your help, we can build a new foothold for artists and performers in Atlanta with juice unrivaled the world over. If you don’t know us, we’ll make it quick. 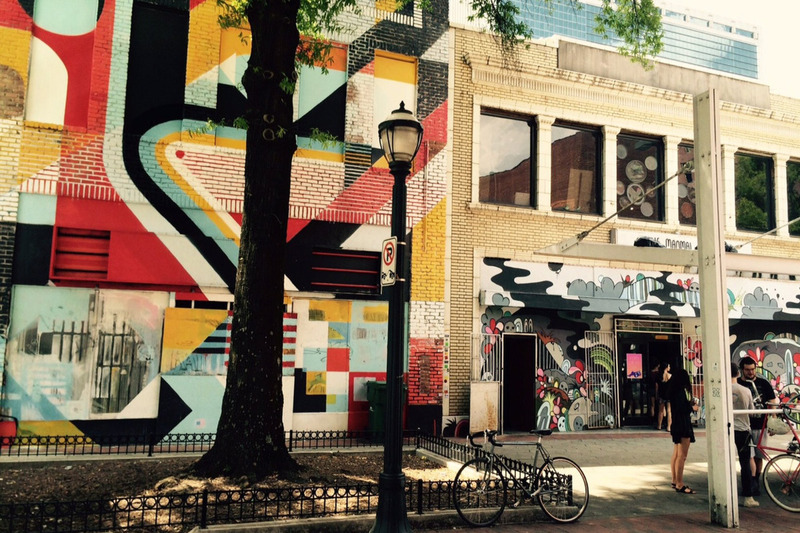 For four years, The Mammal Gallery had the privilege to serve and uplift the arts community in downtown Atlanta. To our amazement, what was once a dream quickly became an institution through the enthusiastic support of Atlanta's myriad of creators. After a tragic fire in a neighboring building in the spring of 2018, Mammal along with a handful of arts organizations downtown were forced to close their doors, most having to find a new home. After a year of searching for a new location, Mammal Gallery is excited to announce the signing of a lease agreement totaling in 10 years at The MET. Built by Asa Candler in 1914, The MET is a 1 million square foot warehouse complex in Adair Park. 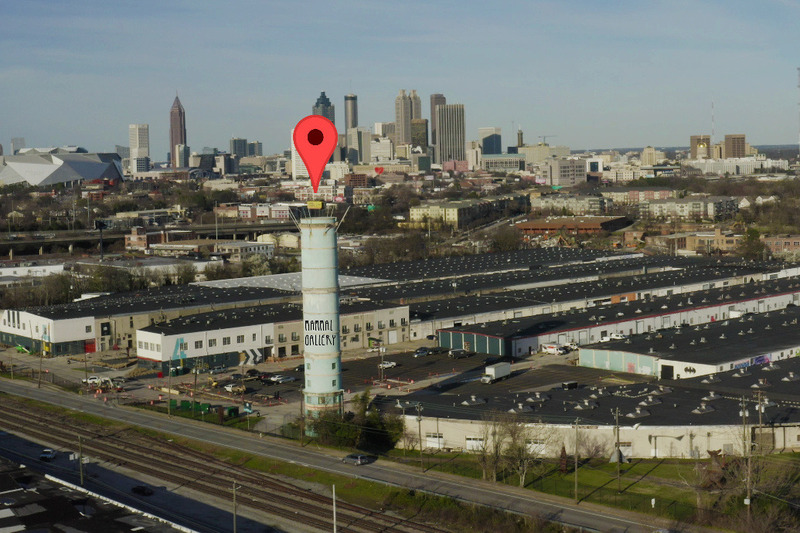 Mammal will inhabit the iconic blue water tower that overlooks the property as well as a 6,100 square foot chunk of the warehouse adjacent to it. 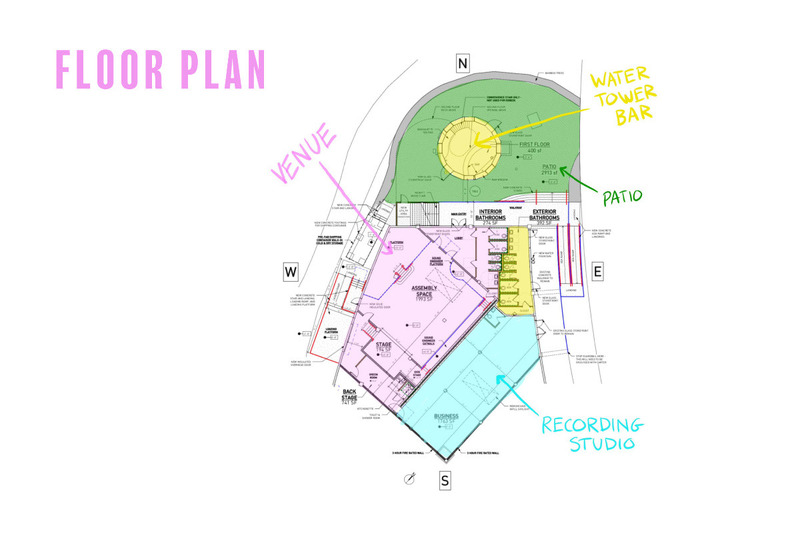 The warehouse will be built out into a music and performing arts venue that will feature a wide-range of programming. The venue will be fully integrated with a recording studio, run by Jason Kingsland and Zach Pyles, that will provide artists with high quality recordings of live performances or studio sessions. The water tower will be converted into a coffee and cocktail bar on the first two floors with a lush, spacious patio surrounding the base. The water tower bar, Designed by Wrong Studios and bar program by Isabella Corwell from 8arm and INK, will be one of two bars to exist in a water tower worldwide. It will be open for regular hours and will also service the venue. Additionally, Artist and previous tenant of the tower, Mitch Cherry, is partnering with Mammal Gallery to collaborate on programming and to help Mammal maintain environmentally sustainable bar and venue practices. With the goal of being fully operational by March 2020, your donations will allow us to commission our architect to complete permitted construction documents and thereby acquire a permit to begin construction. This step is crucial to maintaining our deadline and securing investment. No matter how small your donation, your contribution will show there is a need in the community for a project like this to happen. If there’s one thing our past experience with Mammal has shown us, it’s that what we lack in money and institutional power, we make up for with creativity and strength in numbers. The South has something to say, together we can create a space as unique as the voices we’ll be amplifying.